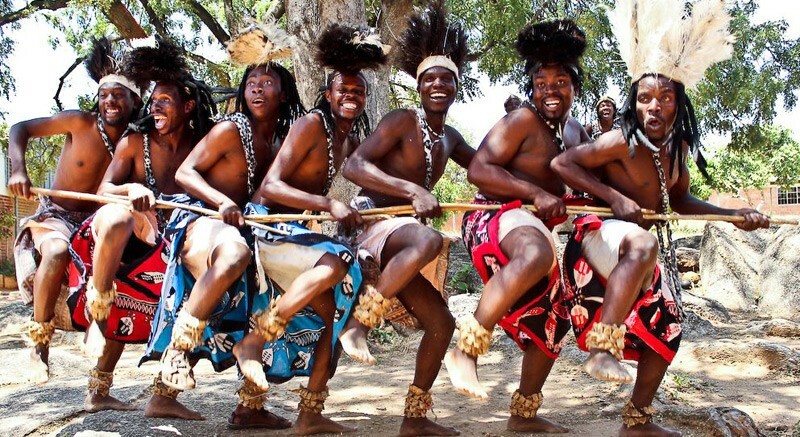 The Shona tribe is one of the tribes that can be found in Zimbabwe. With an estimated number of indigenes well over 9 million people, they are no doubt the largest tribe in Zimbabwe. From its rich history to the language crafts and cultural practices, this tribe is one embellished with fascination. Want to know more about them, read on and be amazed at what you a prone to discover. The Shona tribe as a whole is the largest ethnic group in the southern African country, Zimbabwe. They make up 80% of Zimbabwe’s population with a total over 9 million indigenes. They can also be found in Botswana and southern Mozambique in Southern Africa. From thorough archaeological expeditions and records, the ruins which are known today as “Great Zimbabwe,” goes back approximately to 600 A.D according to radiocarbon dating. Great Zimbabwe, as well as hundreds of other stone walled sites in Zimbabwe, are believed to have been established by the ancestors of what is now recognized to be the modern-day Shona tribe. Having settled in their current region in the first-millennium a.d., the Shona tribe has evolved to the point in which they are divided into two major classifications which include the “Bantus,”(who are the original occupants of the region) and the “Conquerors of the region.” Both of these classifications are further split down into numerous minority clans. They are also popular for their stone sculpture and Mbira music. Mbira music is made from what has been nicknamed a ‘Finger Piano’, a hollow gourd with metal reeds that are plucked by the player. Their craftsmanship is however not limited to stone sculpture. 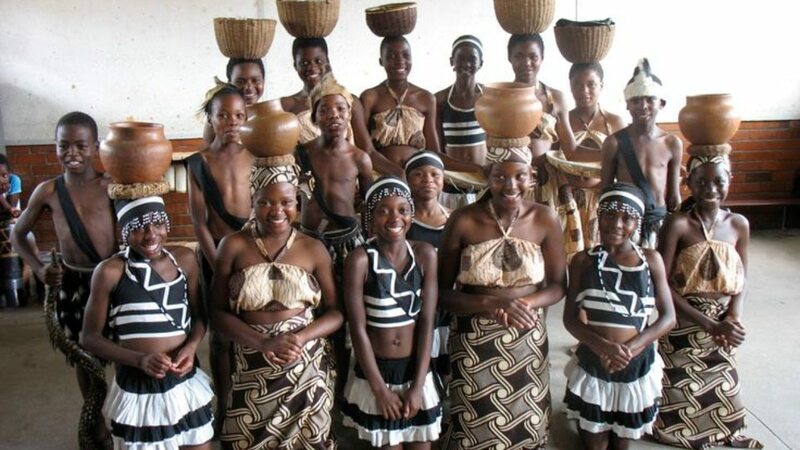 The Shonas are also known for pottery, ironwork and fabric painting with the use of Sadza( fermented maize). Language, which is the basic means of communication is a vital part of the human race. In Africa, there are thousands of languages spoken in the continent and this is further solidified by the numerous ethnic groups found in Africa. The Shona tribe and its respective clans can be identified by their dialect and usually have distinct languages that define exactly what traditions they follow. The major dialects unique to the Shona people are five main language clusters which include; Korekore, Zeseru, Manyika, Ndau, and Karanga. It is also worthy of note that it was not until the late 19th century that the peoples speaking several mutually intelligible languages became united under the Shona name. Shonas of the same regional groupings/ clan usually adorn totems that are identical. Totems are usually animals and body parts and have great importance. In fact, Shona chiefs must be able to recite the history of their totem all the way from its initial founder before they can be sworn in as chiefs. In marriage, clans with the same totems are not allowed to marry among themselves. They are largely known to be highly skilled in art especially sculpting. In the early times, the Shona people trained their young men from childhood in the art as this was a skill that was passed down from generation to generation. Though this practice is on the decline now, it can still be witnessed among modern Shona descendants. Religiously, there are two types of spirits the people believe in, the ” Vadzimu and Shave.” The Vadzimu spirits are generally believed to be ancestral spirits of the land. The ideals and moral way of life of the people are upheld by the Vadzimu spirits. The Vadzimu spirits are also associated with remote culture heroes or recent ancestors whose accurate lineage has been forgotten. They also stand in as the protectors of the society but when the morals and ideals have been neglected by the people, the Vadzimu may withdraw its protection. The Shave spirits, on the other hand, are generally considered to be wandering spirits. They are mostly associated with indigenous people living outside the territories of the land. These spirits are also believed to be connected to animals, neighbouring people or even some Europeans who share the same heritage. Generally, the Vadzimu spirits could either be benevolent or malevolent. The benevolent spirits which are the good ones are linked to things like positive inspiration of people, talents, healing, artistic or musical abilities. While the malevolent of evil spirits are associated with wizardry, occultism or witchcraft. The Shona people are predominantly an agriculturally based people whose main products include; sweet potatoes, manioc, rice, beans, sorghum, peanuts, pumpkins, and millet. They also rear cattle, sheep and chickens. American actress, Thandiwe ‘Thandie’ Newton who featured in Chimamanda Adichie’s “Half Of A Yellow Sun” movie adaptation is of Shonan royalty, born to a mother who was a Shona princess. The Shona people believe more in traditional healing methods over the western form of medication. These medicines are famed to cure both commonplace sicknesses as well as ailments thought to be incurable. They also believe that the healing process works better with the aid of the spirits. One thing the Shona people derive great joy and prestige from is the richness of their arts and crafts. They are particularly famed for their carving and stone sculpting. This is a skill which was common with the Shona people. The Shona tribe believes in the existence of an antagonising spirit called “N’gozi.” This is a spirit that manifests whenever a person dies in a gruesome manner. Such spirit thus torments the paternal lineage of the family responsible for the death of the indigene. In order to appease the spirit, every member of the offending family with the exception of none is required to agree on a compensation else the torment persists.